How to acquire mid-level donors. 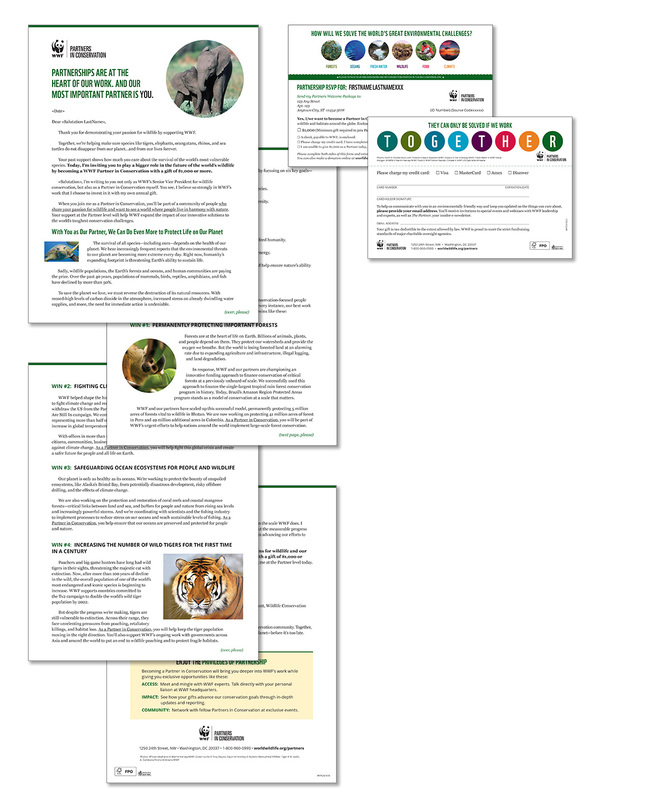 World Wildlife Fund asked Sage to create two new acquisition DM packages for Partners in Conservation, WWF’s program for mid-level donors who make an annual gift of $1,000 or more. 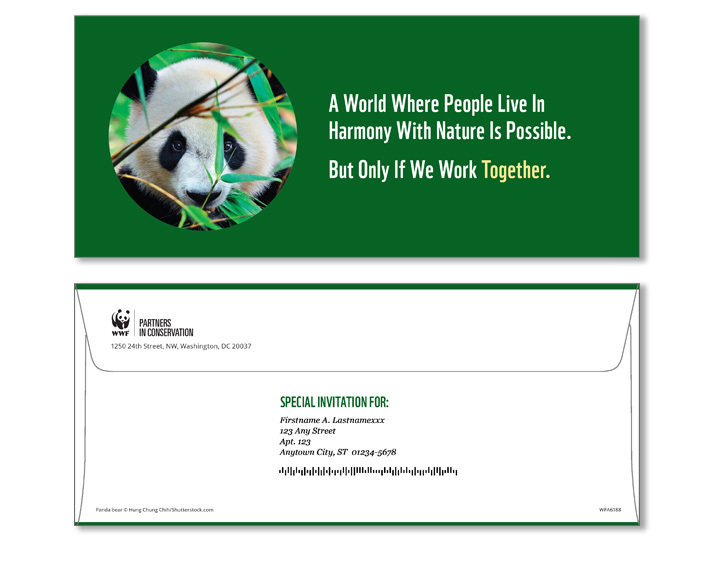 Both nature-inspired packages became acquisition controls. 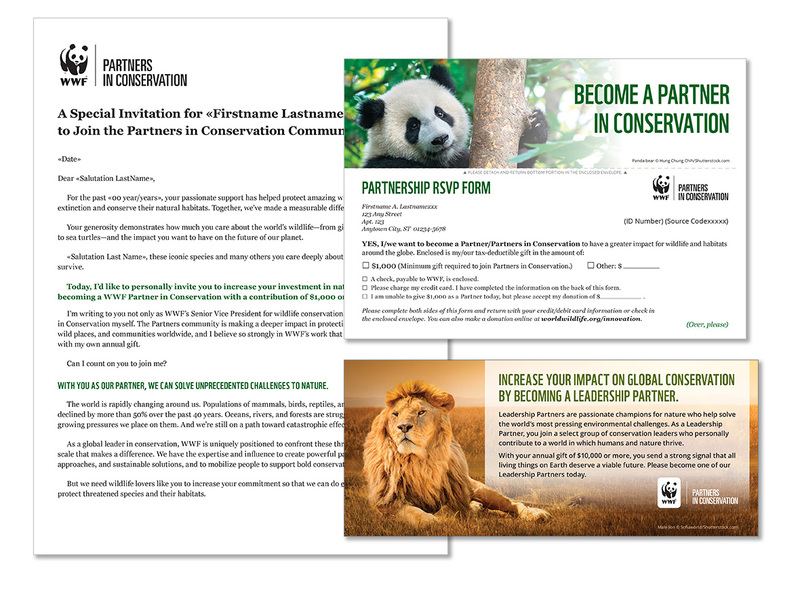 In the first package, the theme of partnership reinforces the “Partners in Conservation” branding and the crucial role Partners play in WWF’s conservation work. 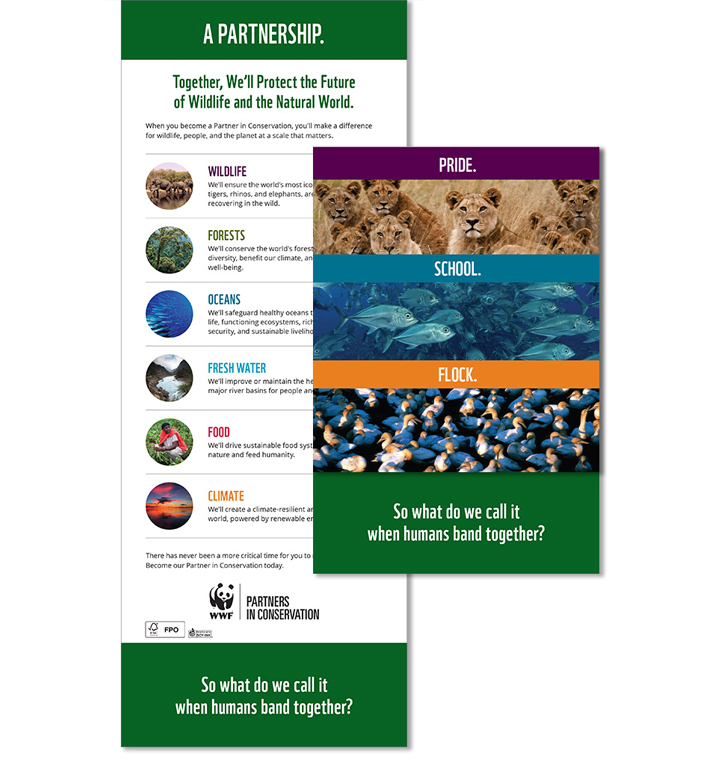 The theme visually comes to life in the brochure, which draws a parallel between a pride of lions, a school of fish, a flock of birds and a partnership of people dedicated to protecting wildlife.